The Middle Napa River watershed extends from just north of St. Helena to just south of the town of Yountville and includes the watershed drained by Conn Creek. 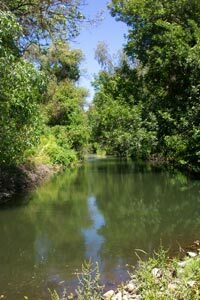 Tributary creeks of the Middle Napa area include: York, Sulphur, Bear Canyon/ Bale Slough, Conn, Chiles, Moore, Sage, Rector, Chase, and upper Hopper Creeks. 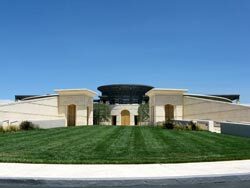 This 10-acre site surrounds the winery on Oakville Crossroad and includes a south hillslope. 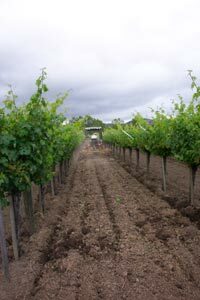 Gargiulo Vineyards has farmed organically since 2000, including using cover crops and no-till practices to protect and enrich the soil. 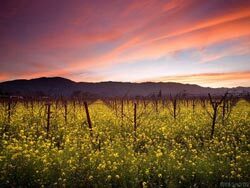 This vineyard, 57 acres, lies on the western edge of the Middle Napa Valley. 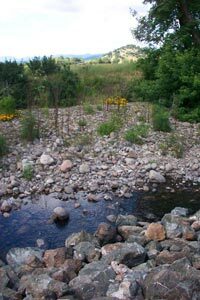 This site uses water conservation and an off-stream reservoir to avoid affecting creek and river flows. Banca Dorada is a flat 28-acre site where Joseph Phelps Vineyards cultivates alternate rows and keeps a cover crop of fescues, clover, oats, phacelia, chickweed, chamomile, and other grasses on their vineyard avenues to reduce soil erosion. Located in the Howell Mountain area, this 150-acre site used to be the bottom of a reservoir. The site is managed to minimize water use and runoff. On this flat, 17-acre site, alternate rows are cultivated and a cover crop of fescues, clover, chickweed, chamomile, and other grasses are grown on the vineyard avenues to reduce soil erosion. 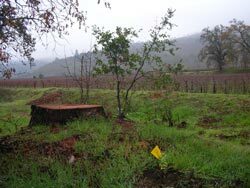 As part of the farm plan, Joseph Phelps Vineyards is planting trees and shrubs along a drainage channel. Bear Flats Estate Vineyard covers 87 acres on the Ritchie Creek alluvial fan where the creek exits Bothe Napa State Park. During floods, alluvial fan channels fill with cobble and boulders. Typically, these are then removed and piled alongside the channel. This bedload material needs to deposit into the Napa River to produce spawning beds for Chinook salmon. This is the original BV vineyard and lies on the alluvial fan of Bear Canyon Creek. 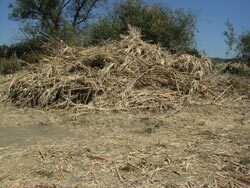 As part of the farm plan for this site, invasive, non-native Arundo donax (giant reed) was removed in 2008 with native oaks and other plants installed in 2009. 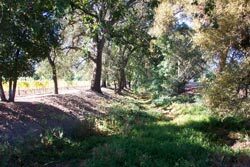 This 120-acre site stretches west from the Napa River and includes Bale Slough and large valley oaks and densely wooded riparian corridors. The owners worked with the FFF program to remove Arundo donax and revegetate with native plants along Bale Slough. The Napa River on this site is part of the Rutherford Dust Napa River Restoration Project. The managers of Beaulieu Vineyards are working with FFF program staff to plant native oaks along the small creek on this flat, 125-acre property. A thick cover crop on the avenues and vineyard roads is maintained throughout the winter to minimize soil erosion. Andy Beckstoffer came to Napa in the 1960s and bought his first vineyard in 1973. The Boeschen family farms 7.5 acres of vineyard near Bell Canyon Creek, and has a winery and cave on this site. 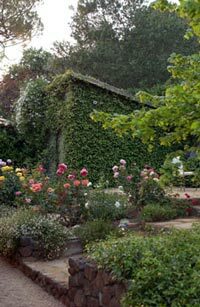 Beautiful flower gardens enhance the historical house and wine estate. 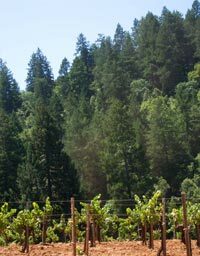 The Piña brothers developed this 6-acre site on Howell Mountain near Angwin in 1996. The vineyards include a partially terraced hillside with a gentler bowl below. 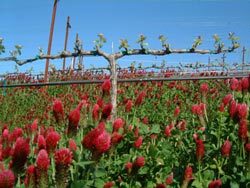 The vineyards are farmed sustainably with cover crops of rose clover, crimson clover, and Blando brome; owl houses and raptor perches also encourage wildlife. 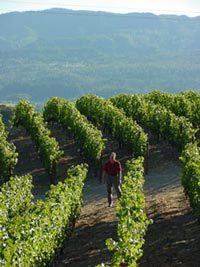 Situated near the top of the Sulphur Creek watershed, Cain Vineyards encompasses 685 acres of terraced vineyards, planted in the 1980s, and a large area of wildlife habitat. Vineyards are carefully managed with cover crops to protect soil and only small volumes of water are used for irrigation. 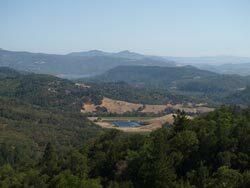 The Chappellet family purchased a 640-acre ridgetop property along the dry eastern slopes of the Napa River watershed in the 1960s. Their 97 acres of vineyard are farmed organically using water- and soil-conserving techniques and biofuel-powered tractors. The Charles Krug Winery, built in 1861, was the first winery in Napa Valley. Since 1943 it has been operated by the Mondavi family. This 37-acre site is managed by Frank Leeds as an organic, dry-farmed vineyard. This 68-acre site is managed for Merryvale by Remi Cohen with environmental sensitivity. In farming the complex landscape of Conn Valley, care has been taken to minimize erosion, sedimentation and runoff. The 59-acre De Carle Vineyard is surrounded by waterways: Bear Canyon Creek, Bale Slough, and a freshwater wetland area. The reach of Bear Canyon Creek on this site had a large stand of invasive, non-native Arundo donax (giant reed) that was treated in 2009. Native oaks and other trees were planted. 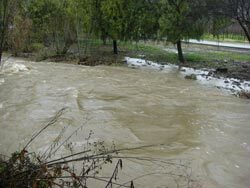 The 96-acre Dos Rios Vineyard borders Conn Creek. In conjunction with the FFF program, Beringer Vineyards has removed invasive plants from the riparian corridor of Conn Creek. Ehlers Estate is operated by the Leducq Foundation which funds cardiovascular research. The vineyards on this 42-acre site are farmed with organic and biodynamic methods. Chase Creek runs through the west side of this 102-acre vineyard. The creek and drainage system are closely monitored and managed to reduce erosion and fine sediment runoff. 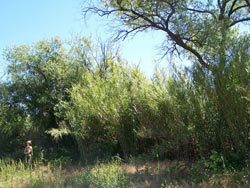 This ranch in Soda Canyon includes 88 acres of vineyard and riparian corridors to allow movement of wildlife. This winery was started in 1975. The 216-acre site borders the Napa River and is participating in the Oakville to Oak Knoll Napa River Restoration plan. 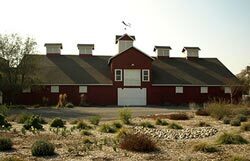 This winery was founded in the 1980s by John Williams, a former dairy rancher from New York. The winery is located where frogs were once grown for gourmet restaurants in San Francisco. This 38-acre vineyard surrounds the winery and uses organic and dry-farming techniques. This ranch borders the Napa River and includes a wetland slough channel. This site is included in the Rutherford Dust Napa River Restoration program and is farmed using organic and dry-farming techniques. 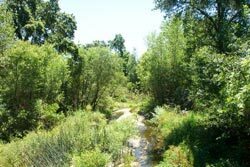 This 900-acre site has a large number of waterways: Conn Creek, Rector Creek, Napa River, and several unnamed creeks. 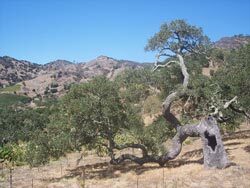 Large valley oaks dot the site, providing habitat for numerous birds. 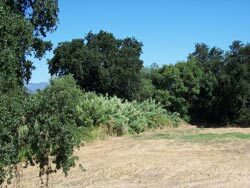 Working with the FFF program, Beringer Vineyards has eradicated invasive non-native tree-of-heaven, eucalyptus, Himalayan blackberry, and Arundo on the site’s creeks. 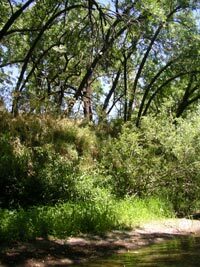 These invasive plants do not provide a high level of wildlife habitat, and once removed, native oaks, maples, California walnut, Oregon ash, and California bay laurel were planted. 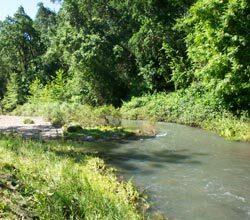 In 2007 Beringer was given a Fish Friendly Farming award for Outstanding Efforts in Stream Habitat Improvement and Restoration. 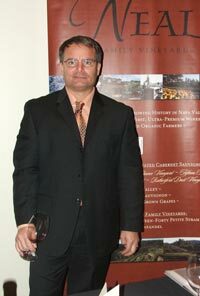 Gargiulo Vineyards was founded in 1992 by Jeff Gargiulo. This 330-acre site borders Silverado Trail and Conn Creek and uses extensive water conservation measures. This 11-acre site on the Napa River is being managed to minimize water use and soil erosion. 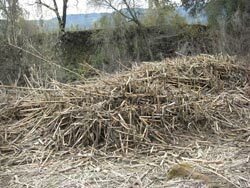 Invasive, non-native Arundo donax was removed from the river banks. Michael Honig, whose family has owned the vineyard since 1964, is committed to sustainable practices on his 70-acre site. 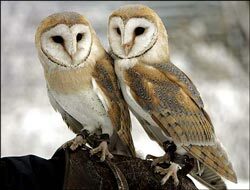 At the 52-acre vineyard, they use owl boxes for rodent control, bat and blue bird nesting boxes to encourage insect pest control, mechanical tilling rather than herbicides, biodiesel in their tractors, and drip irrigation for increased water efficiency. Along the vineyard edge on the levee, the winery has improved the riparian habitat with an extensive native plant restoration. In 2006, the winery invested in solar panels at one corner of the vineyard to generate the electricity they use. During the 1800s, crops were grown on this site in fields cleared from dense chamise, but were abandoned during Prohibition. The current vineyards were developed by the Krupp family in the 1990s. This 137-acre site sits in the headwaters of Rector Creek, upstream of the reservoir. 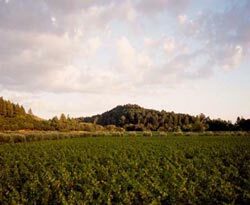 This 185-acre site on Howell Mountain dates back to 1877 as one of the first vineyards planted on Howell Mountain. Pat Stotesbery, who previously ran several ranches in Montana, owns and manages the 81 acres of vineyards to minimize soil erosion and sediment delivery to the small creek on the property. This 92-acre site borders both Rector and Conn Creeks and is farmed organically. 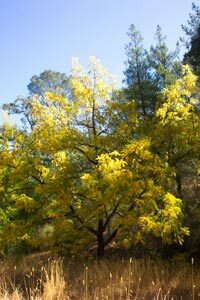 As part of their farm plan, Rector Creek was planted with natives in 2009 and invasive, non-native tree-of-heaven is being eradicated. This 616-acre ranch was established in 1872 and redeveloped in 1990. 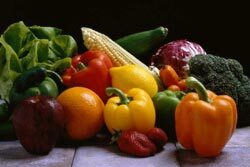 Organic grapes, olive oil, and grass-fed beef are produced. This 6-acre site is an organic vegetable garden along Highway 29 in the middle of the Napa Valley. 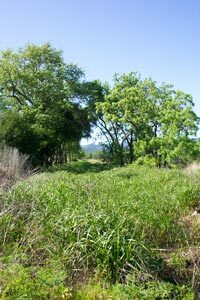 This 10-acre site borders the Napa River where invasive, non-native Arundo donax is frequently removed. 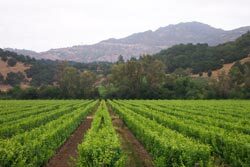 Vineyards are managed with cover crops and surround the winery and tasting room. 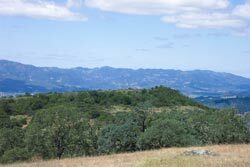 Located near the top of the Sulphur Creek watershed, this site has 33 acres of vineyard. The surrounding lands are coniferous forest stretching from the ridgetop down to the south fork of Sulphur Creek. As part of their farm plan, Beringer Vineyards has completed storm-proofing of a number of dirt roads on the site. The Schlatter family operates the Merryvale Winery. Money Road Ranch is a 40-acre site adjacent to a tributary to the Napa River. 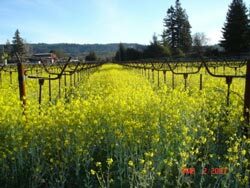 Gargiulo Vineyards has farmed the 37 planted acres organically with cover crops since 1992. 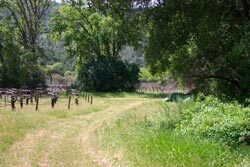 The berm between a tributary creek to the Napa River and the vineyard is planted with olive trees. This 80-acre site includes vineyards, gardens, olive trees, and several waterways adjacent to the Meadowood Resort. 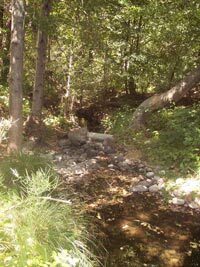 Revegetation of Howell Creek and several un-named creeks will be completed as part of the farm plan. 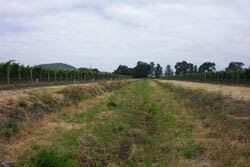 This 12-acre site is a largely flat vineyard managed to limit chemical use and runoff. 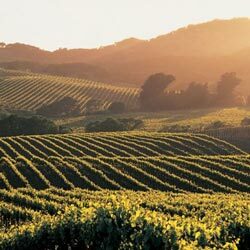 Owner Mark Neal has been managing vineyards in the Napa Valley since 1968, first with his father Jack Neal, and then as owner of Jack Neal and Son, Inc. Neal Family Vineyards uses organic farming methods over most of its land. This 7-acre site at the northern end of St. Helena is one of many small, flat vineyards distributed over the Napa Valley floor. Like other similar sites, it has no year-round roads or improved drainage, so rainfall drains naturally off the property. 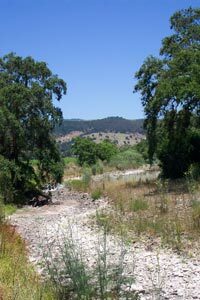 This site extends from the foothills to the Napa River and includes portions of Doak Creek. This area of the Napa River is included in the Rutherford Dust Napa River Restoration Project. This 30-acre site lies on the fertile Napa Valley floodplain, where the Napa River once ran through multiple braided channels, depositing a rich silt loam ideal for agriculture. Charles Krug Winery has been farming this site since 1971. Sue and Stephen Parry manage their one-acre vineyard to protect water quality by using cover crops and no-till farming methods. This 17-acre site is located along the western side of St. Helena. Sustainable methods are used to protect water quality and soil. 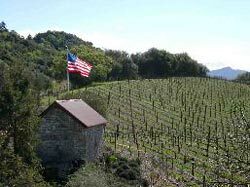 Tony and Herta Peju established their winery in 1982 with the purchase of this 30-acre site adjacent to the Napa River. This site is part of the Rutherford Dust Napa River Restoration project. This historic vineyard, once part of Yountville founder George C. Yount’s estate, has been a source of wine grapes for almost 100 years. 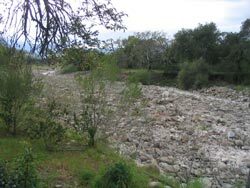 The vineyard occupies the alluvial fan of Rector Creek where it emerges from the outlet of Rector Reservoir, moving large cobble and boulders typical of an alluvial fan. The owners are managing the site to revegetate the banks and allow a wide corridor for the creek. Change text Robert Mondavi established his winery in 1966. He was a leader in bringing attention to the Napa Valley as a producer of world-class wine. This 550-acre vineyard borders Doak and Lincoln Creeks. Vineyard managers are working with the FFF program to eradicate invasive, non-native plants and revegetate with native trees and understory species. 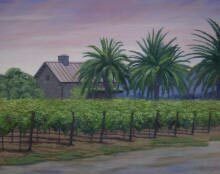 Robert Sinskey Vineyards was among the first to use all organically grown grapes in its wines. In 2007, the California Sportfishing Protection Alliance recognized Robert Sinskey Vineyards with an award for Excellence in Water Quality Improvement and Protection. 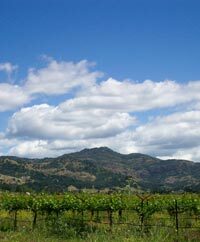 This 62-acre site was the first vineyard purchased by the Cakebread family and is the location of their winery. The Napa River borders the site and will be restored as part of the Rutherford Dust Napa River Restoration Program. Silverado Vineyards was founded by the Miller family in the 1970s with a winery, built in 1981. 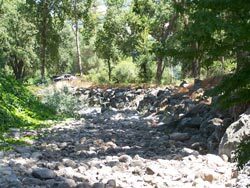 In 2007, Silverado Vineyards was recognized by the California Sportfishing Protection Alliance for Excellence in Water Quality Improvement and Protection, for completing an erosion control project on an old abandoned road. 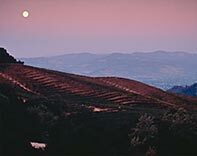 These two contiguous vineyards sit at the base of the Maacamas Mountains on the western side of Napa Valley, and have been farmed by Charles Krug Winery since 1971. A small creek on this site transports large cobble typical of an alluvial fan stream. 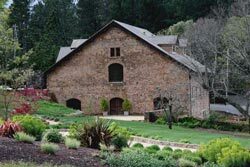 This 95-acre site includes the historic Beringer Rhine House and wine caves, as well as the modern winery and 49 acres of vineyard. York Creek flows through the site. This 128-acre site borders the Napa River. The Skalli family from France established the St. Supéry winery in the 1970s. 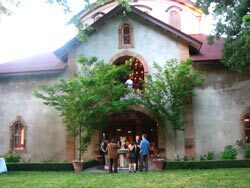 This 141-acre site includes vineyards, wildlands, winery, and an historic country manor house built in the late 1800s. 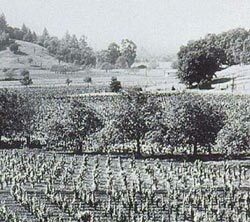 Vineyards have been farmed on the site since 1893. Chase Creek, named for the original owners of the property, courses through the vineyards. As part of the farm plan, Chase Creek was revegetated with native plants. This ranch, named for the longtime vice-president of Beringer’s vineyard operations, Bob Steinhauer, has 37 acres of vineyard, surrounded by pines and manzanita. Dry conditions require a high level of water conservation on the site. The McCrea family developed this 160-acre site on Spring Mountain in 1943. Thirty-nine acres of vineyard occupy former pastures surrounded by forest. Soil conservation through improved road drainage, use of cover crops, and vineyard improvements were implemented as part of the farm plan for this site. This winery was started in the late 1800s by John Thomann and was restored by the Trinchero family in 1948 and re-named Sutter Home. This 29-acre vineyard surrounds the winery and extends to the Napa River where extensive restoration work has been done. This site is within the Rutherford Dust Napa River Restoration area. Owner and winemaker Julie Johnson oversees a 10-acre organic vineyard on a 35-acre site. 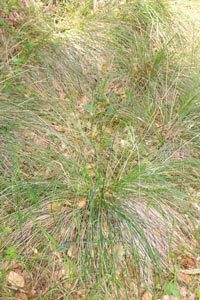 The hilly uplands are being managed for native wildlife habitat. 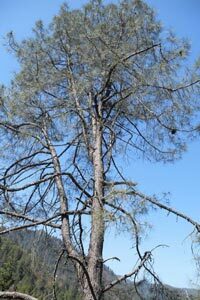 Of the 187 acres of this property, 113 acres are wildland forest. 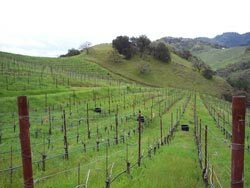 Located on a hillside, the 71-acre Vine Hill Ranch vineyard has a drainage system that reduces erosion and sedimentation risk to the adjoining creeks: Kelham and Hopper Creeks. This 430-acre site in Chiles Valley was developed in 1975 by Volker and Liesel Eisele with 60 acres of vineyards. 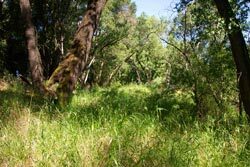 The extensive wildlands are managed for wildlife habitat and native plants, and have been preserved through a conservation easement with the Land Trust of Napa County. The vineyards are managed using organic methods. 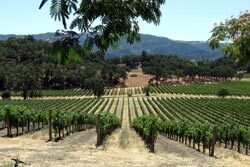 In 2007, the California Land Stewardship Institute recognized Volker Eisele Estate Vineyards with an award for Light Touch Vineyard Development and Operation. This 340-acre site borders the Napa River, with Chase Creek bisecting the vineyards. 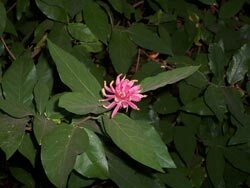 Invasive, non-native plants have been removed from the river corridor and native plants installed. This site is part of the Oakville to Oak Knoll Napa River Restoration Plan. Conn Creek runs adjacent to this 78-acre site. 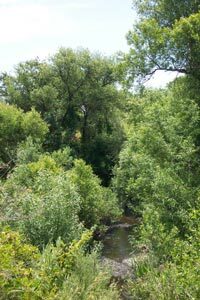 As part of their farm plan, they are working with the Fish Friendly Farming Program on an invasive plant removal and revegetation plan for the riparian corridor along Conn Creek. Hopper Creek crosses through this 95-acre site and was planted with native trees and grasses in 2006 as part of their farm plan implementation.